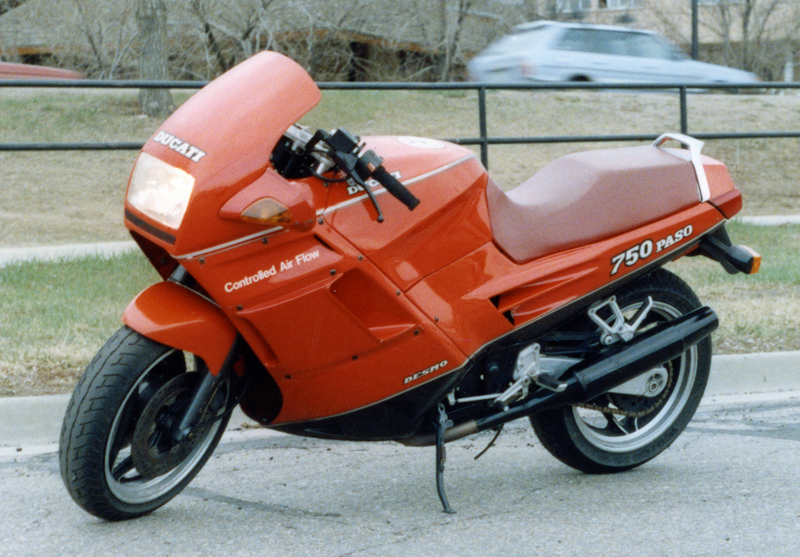 The Ducati Paso was sold from 1987 through 1989 in the U.S. In 1990 I was in college at the University of Colorado at Boulder. My personal fleet consisted of two muscle cars and one vintage British motorcycle. 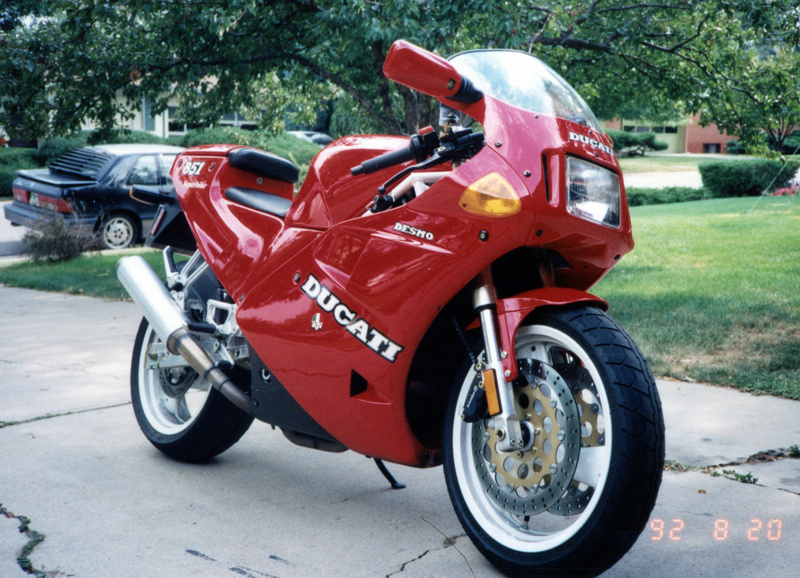 At that point I had zero experience with Italian motorcycles, but I’d always been fascinated by Ducatis and MV Agustas. 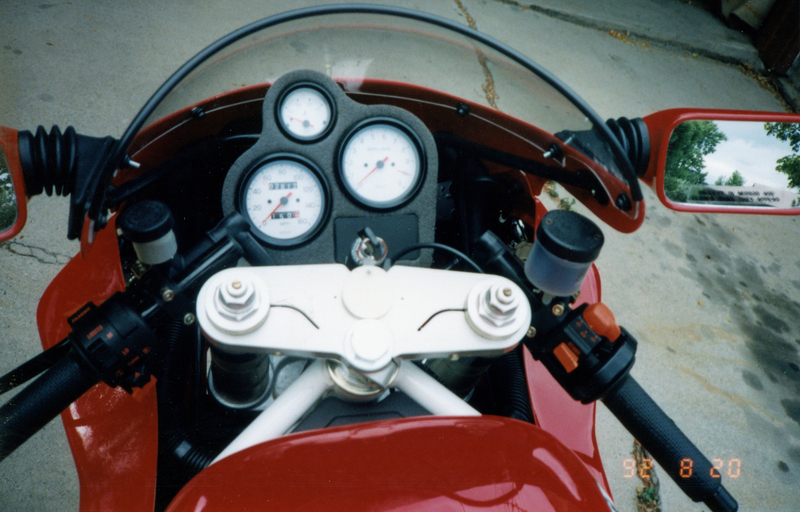 In November of 1990 I had an opportunity to buy a 1987 Ducati Paso from a BMW motorcycle dealer in Fort Collins. 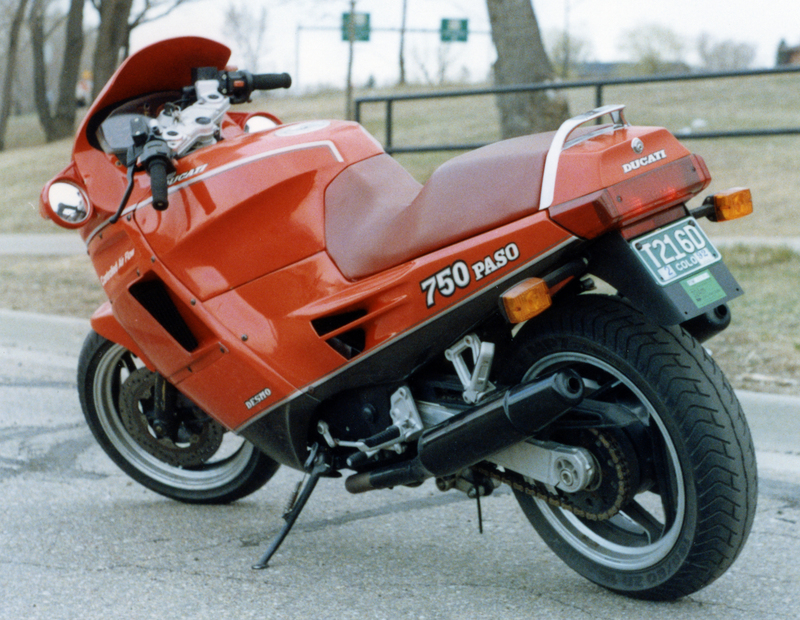 I remembered when the bike was new a few years earlier and this Ducati Paso was being offered at what seemed like a low price — $3,200. I went and looked at it, took it for a short test drive, then bought it and drove it back from Fort Collins to my apartment in Boulder. One issue I spotted immediately was an orange tint to what was supposed to a be deep red paint. The dealer told me the bike was originally from Alabama and was kept outside. He said the paint had faded from the sun exposure. I later discovered rust throughout the clutch system that had to be drained and cleaned to get it to work properly (presumably also from sitting out in humid Alabama). I had the local Suzuki shop in Boulder perform the work, which they completed without issue.